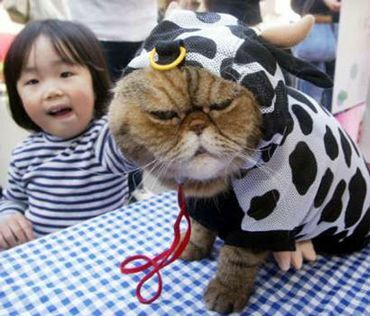 Hilarious picture of a cat dressed up in a cow costume and he doesn't look very happy about it. I'm pretty sure that cat is going to attack the little girl in her sleep. How Drugged up was that cat before they got that on it.